This filter allows you to select a camera by the resolution (megapixels) of the camera. Unless you are doing high quality printing, additional resolution over 3 megapixels may be wasted since most computer monitors have maximum resolution of approximately 2 megapixels. Also, higher resolution typically involves slower refresh rates and, therefore, less effective live imaging. Firewire is a brand name for IEEE Serial Business Bus or in plain language, a higher speed alternative to USB. It is more commonly used in professional applications. RCA Composite Video is an analog output designed for computer monitors and TVs. Look for acronyms such as NTSC or AVi. USB 2.0 Most microscope cameras output via USB 2.0 - the standard for output to computers, cell phones and other personal devices. USB 3.0 is a new 'Superspeed' USB connection, currently found on a limited range of products, whether microscopy or other. VGA is also an analog signal for output to computer monitors or to HDTV rather than computers. C-Mount is a standardized camera lens mount that measures 1" in diameter and 32 threads per inch. 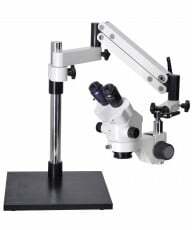 Ocular Mounts enable a microscope camera to be attached to a microscope ocular via an adapter tube. Typically, used on a trinocular port, an ocular mount can also work on monocular and binocular microscopes either by removing an eyepiece or, less commonly, by mounting an adapter over the eyepiece. CMOS (complementary metal oxide semiconductor) and CCD (charge coupled device) image sensors are two different technologies for capturing images digitally. Each has unique strengths and weaknesses, although there are no clear dividing lines. 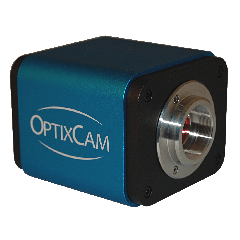 CCD cameras have traditionally provided the highest image quality at the expense of system size and cost. This is beginning to change with the advent of S-CMOS sensors. CMOS cameras offer more functions on the chip with lower power dissipation, but they have often required tradeoffs between image quality and cost. As a result, most standard applications currently employ CMOS sensors with lower prices. 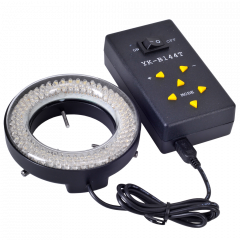 More advanced applications, where highest image quality is essential, employ CCD sensors. 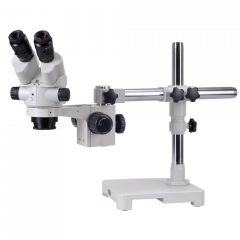 Select a microscope camera with either monochrome or color sensor. You can filter the list of products by the type of operating system employed on your computer. 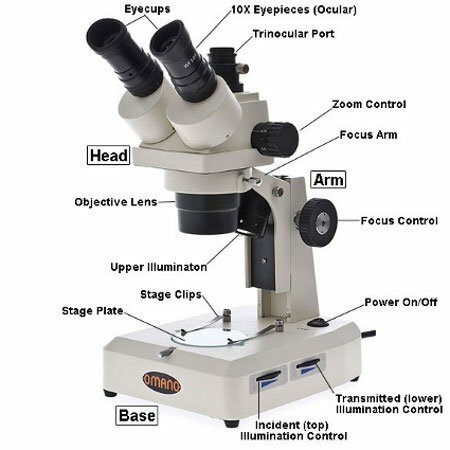 The most flexible way to create a digital microscope is to add a digital microscope camera to a standard microscope. 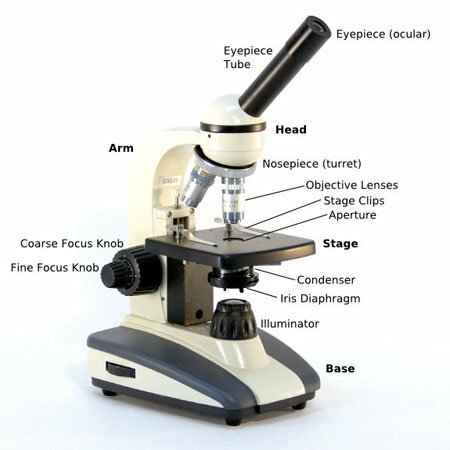 You can then use the camera on different microscopes and different cameras on any given microscope. 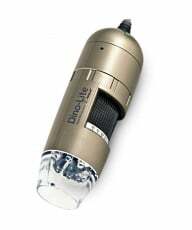 Moreover, since microscope camera technology is improving so rapidly, it is easy to replace a camera as new ones arrive on the market. 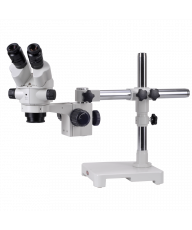 We offer five brands of microscope camera, all of which have included software, are easy-to-use, affordable and professionally selected for excellent color resolution. They include: our house brand OptixCam,which we recommend for general use in schools and home, industrial inspection and other general use applications in healthcare and research, Dino-Eye (Dino-Lite cameras), which are designed for industrial inspection,Motic for more advanced applications, and two the research grade brands, Lumenera and Jenoptik ProgRes. These camera brands are designed for use across our customer base including Entry Level and General Purpose users (with CMOS sensors) through more Advanced Professionals (with either CMOS or CCD sensors). Applications include standard image capture and documentation for school, home and industrial inspection to more advanced low light fluorescence imaging and material science applications. 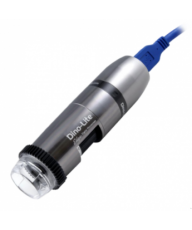 They include USB digital microscope cameras as well as for TV/AVI output for direct output to TV or monitor. Robust Image capture, documentation and measuring software is typically included as standard as is live imaging video capability. USB 3.0 is now standard on most new laptops and computers for faster output speeds and improved resolution. 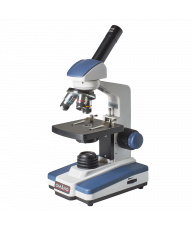 Check out our new USB 3.0 microscope cameras here.